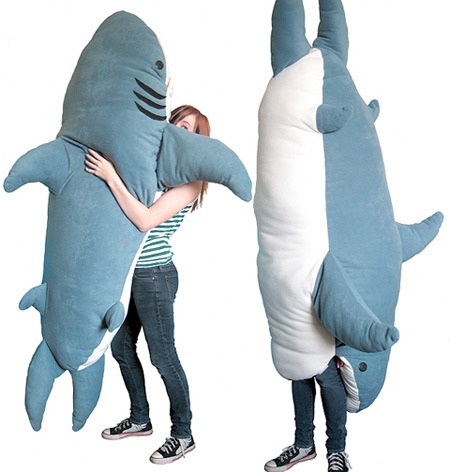 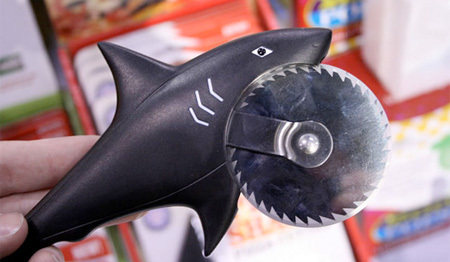 Grab on to the Pizza Shark and roll it across your favorite pizza. 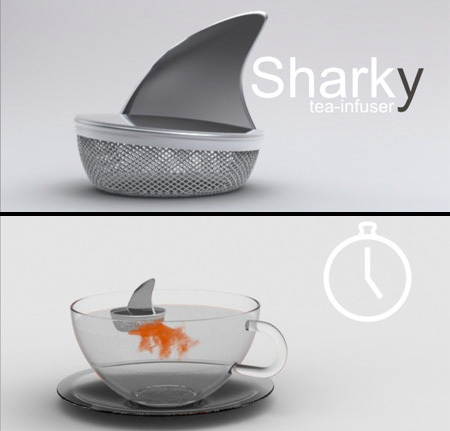 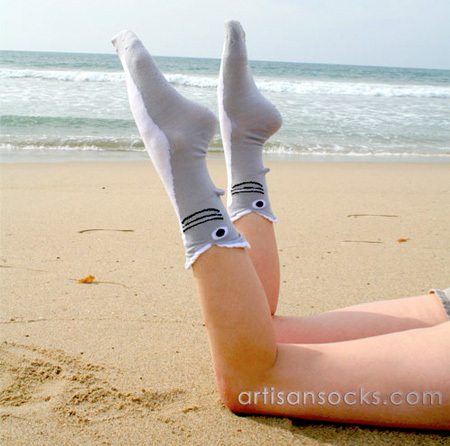 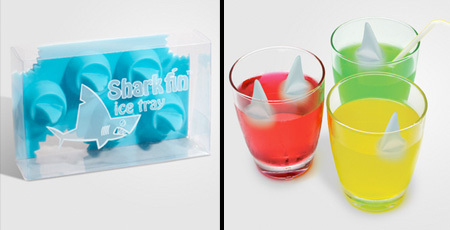 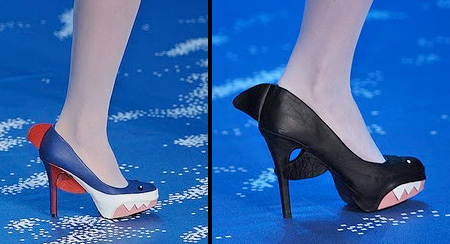 Do not be afraid, but I think there is a shark swimming in your drink. 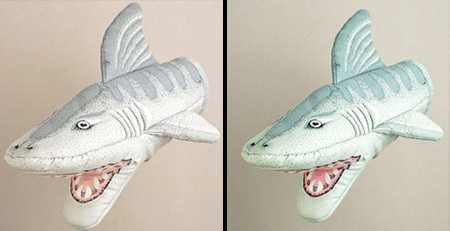 This seven foot sea monster was hand sewn from fleece and felt. 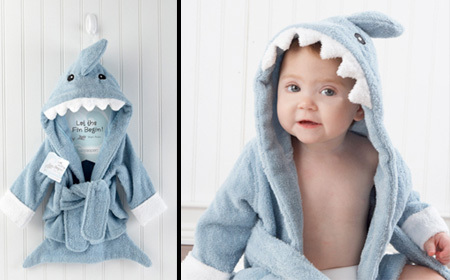 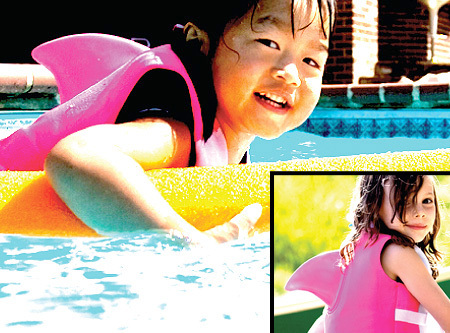 Adorable shark fin baby robe is perfect for the after bath-time fun. 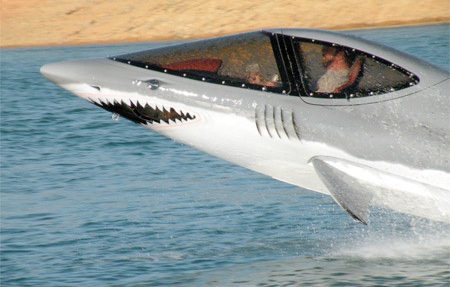 Personal watercraft designed to look and move like a real shark. 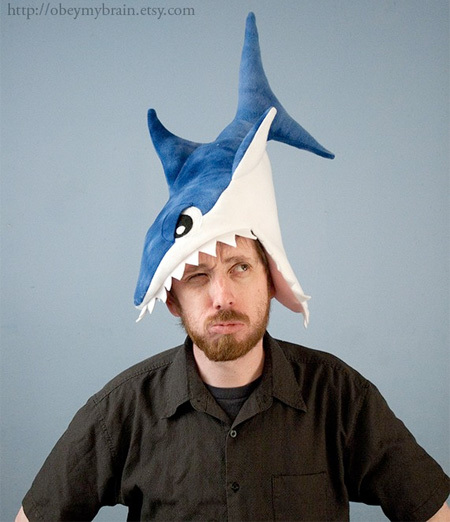 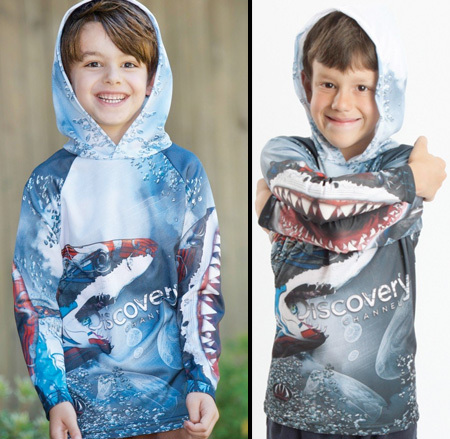 Discovery Channel’s Shark Week hoodie with creative design. 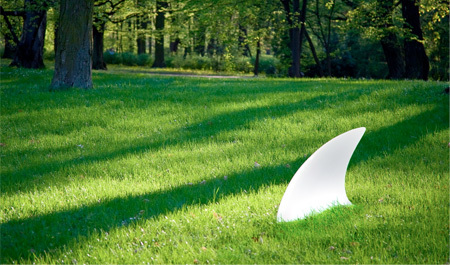 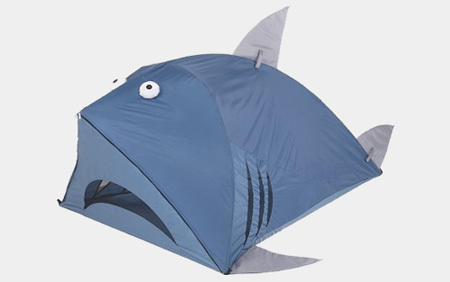 Unique camping tent was designed to look like a giant shark.